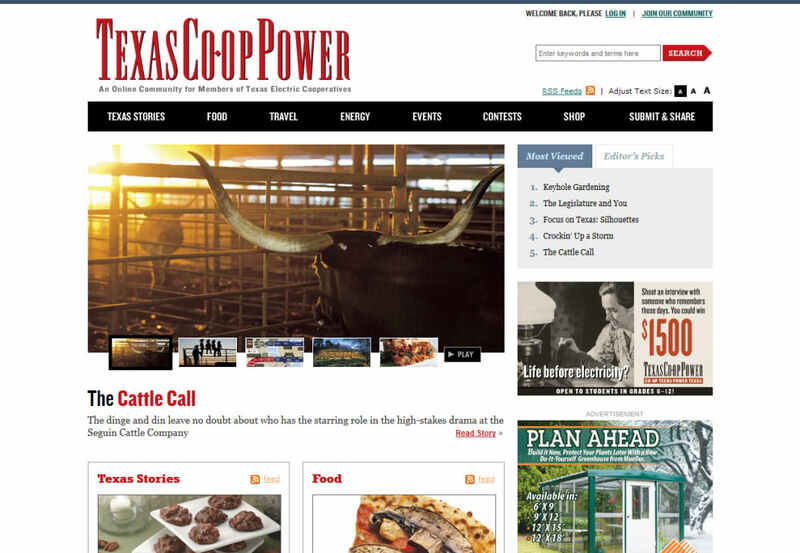 White Lion helped turn a well-respected, award winning and long standing publication into a dynamic and interactive website. 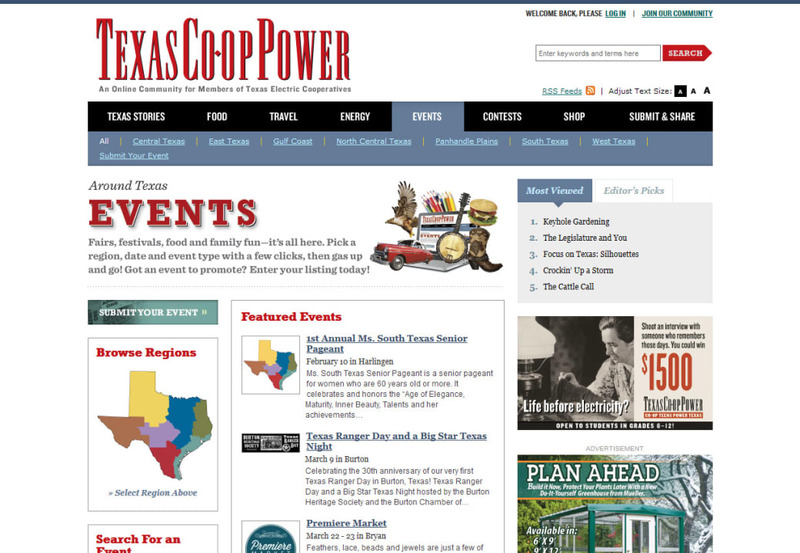 With a streamlined design and a robust content management system, Texas Co-op Power brings each issue to life online. 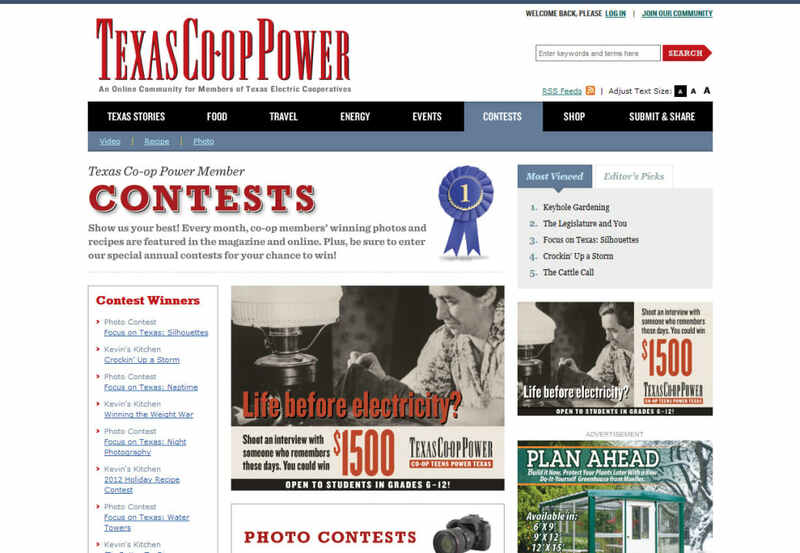 Members can now join an online community through monthly contests, classified ads, event promotions, energy tips and sharing their favorite stories. 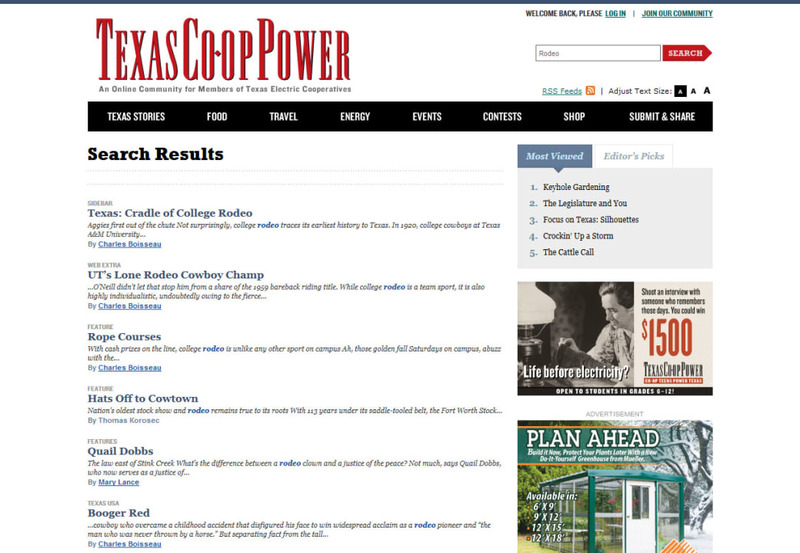 Nearly 1,000 members call the new website their home, and Texas Co-op Power’s numbers continue to grow! 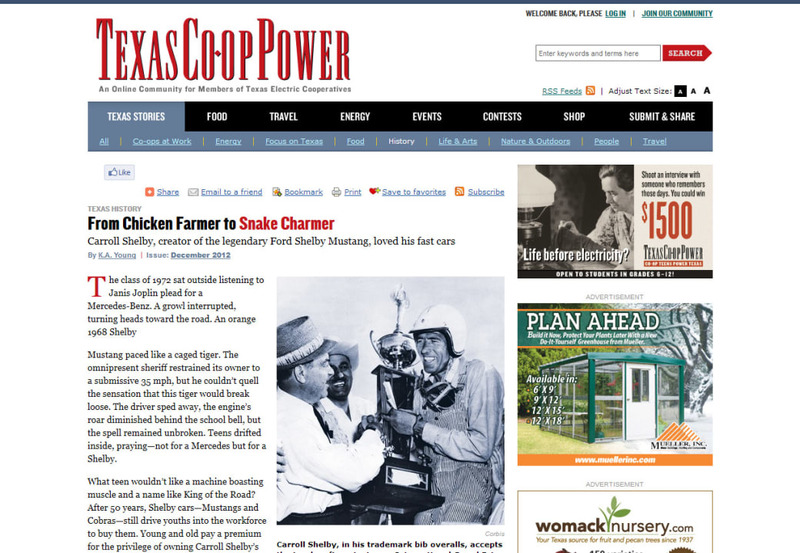 Texas Co-op Power’s publication reaches over 1.2 million co-op members – informing, educating, and entertaining Texans for over 65 years.